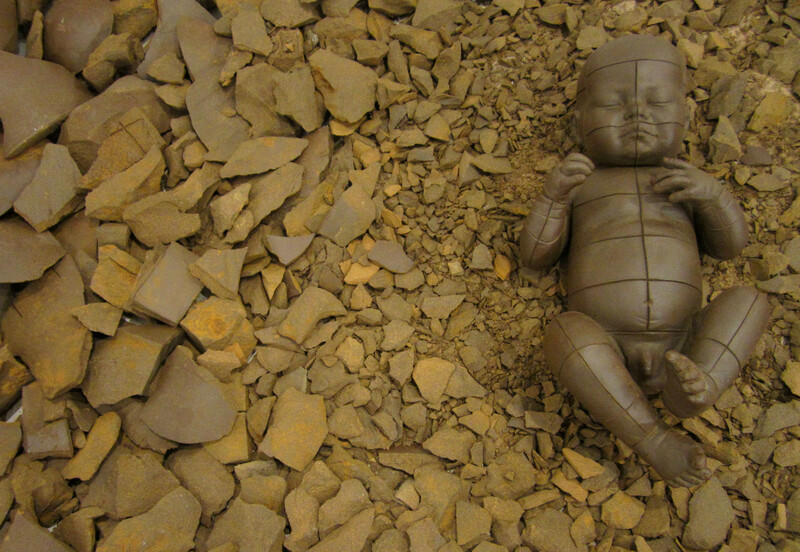 By using ‘the intimate body effect’, Lineage plays with our knowledge of the biological human body’s ability to reproduce and the act of making or representing figurative sculpture. 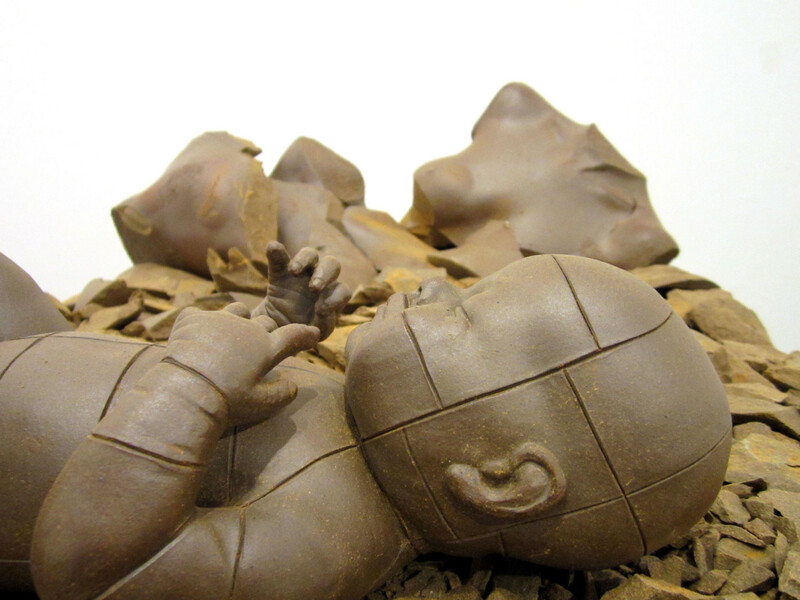 Lineage also takes into the consideration the history of figurative sculpture and questions of how the canon of figurative sculpture can be taken forward. As a sculptor interested in the figure, I am overwhelmed by the history of the figure in art. Some of the oldest pieces of art are depictions of the figure and can be traced back thousands of years. I wonder with so much work already having been made how I can make a substantial, fresh, and possibly original contribution to the canon of figurative sculpture. 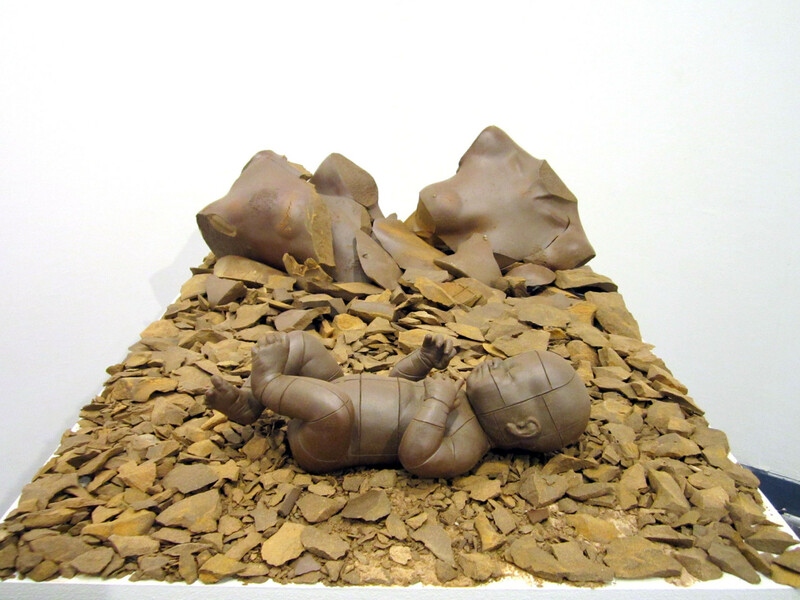 One possible interpretation of Lineage, is how the infant, which is made up of pieced together blocks that have presumably come from the torsos, begins to tackle the question of how contemporary figurative sculpture is to be taken forward by it representing hope for the future.